We don’t think twice when spending $3.50 for a morning coffee. But imagine if that was your food budget for the entire day? 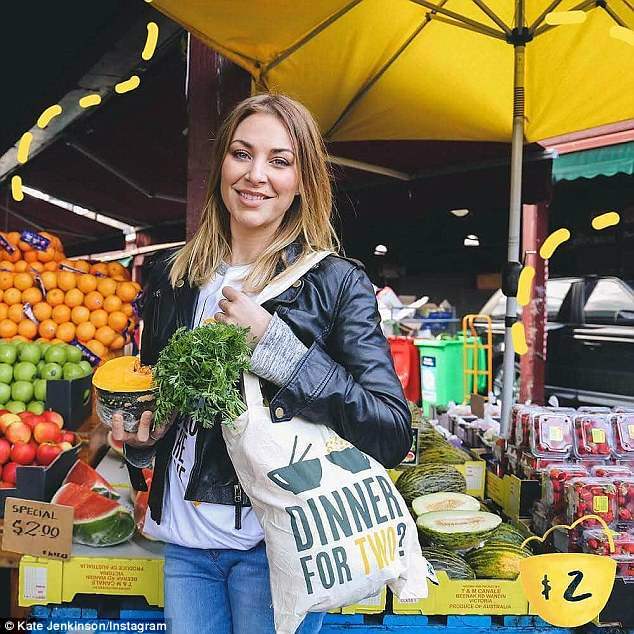 Australian actor Kate Jenkinson, star of ‘Wentworth’, ‘House Husbands’ and ‘Miss Fisher’s Murder Mysteries’, attempted to eat with only $2 a day for five days. 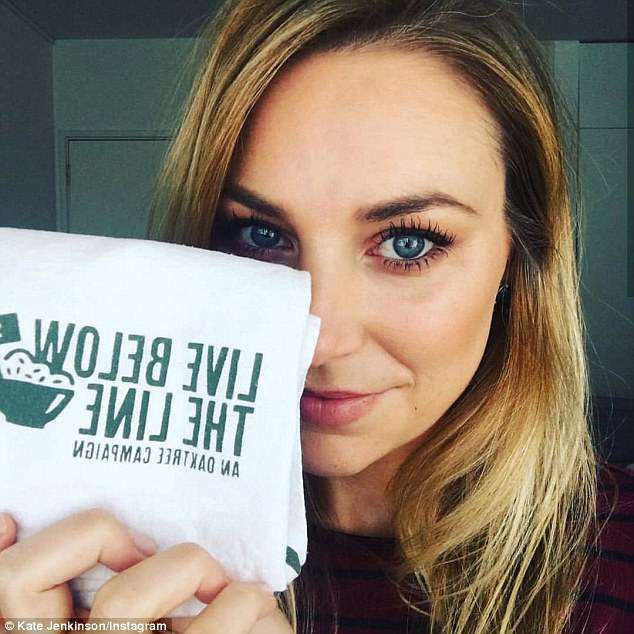 The challenge was part of the ‘Live Below the Line’ campaign, where Australians are only allowed to spend $2 a day on food to experience live below the poverty line and to raise funds to fight income inequality. The Live Below the Line campaign was started in 2010 by the Oak Tree Foundation, as a way to raise awareness and funds to fight poverty. Since then, over 50,000 Australians have raised more than $10 million for the cause. Last week, Ms Jenkinson attempted the challenge to spend only $2 a day on food as part of the campaign. ‘With a grocery shopping budget of $10 for five days, I bought oats, milk, carrots, tinned peaches, pasta, tinned tomatoes, corn cakes and two bananas,’ Ms Jenkinson told the Sunshine Coast Daily. Over the five days, Ms Jenkinson survived on a diet of oatmeal, pasta with tinned tomatoes, vegetable soup and corn cakes. ‘I had a big bowl of oats cooked in boiling water and milk for breakfast. I immediately noticed how bland porridge is without honey! Added banana and tinned peaches, but I really missed the sweetness from sugar and honey,’ she said. For Ms Jenkinson, a difficult aspect of the challenge was coping with bland food. She did not purchase sugar or salt, as they exceeded her daily budget. In addition, it was challenging for Ms Jenkinson to adjust to life without caffeine, as tea and coffee were also too expensive to fit within her budget. Despite feeling ‘tired and grumpy’, ‘seriously under the weather’ and irritable’ throughout the process, she did succeed. 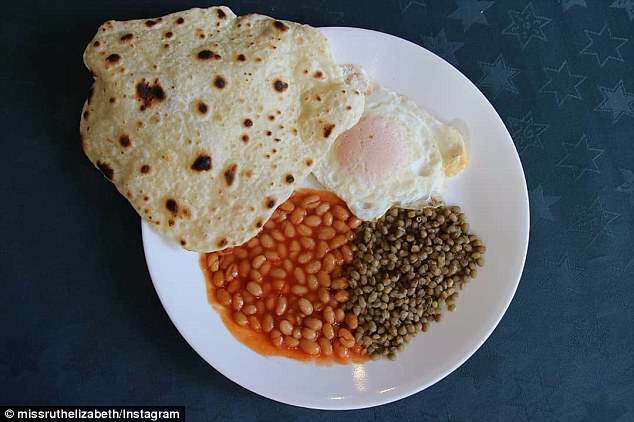 The Live Below the Line Challenge has a world wide following, with Instagram users posting photos of their grocery shopping and meals throughout their campaigns. Instagram user missruthelizabeth posted her shopping list, for surviving five days on only $9.82. 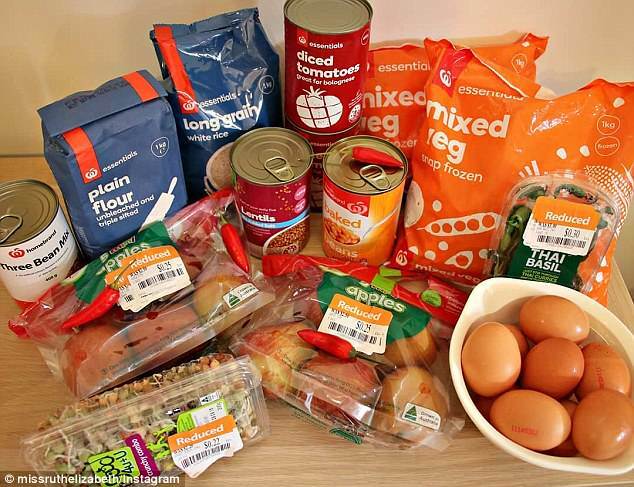 ‘2x mixed frozen veggies 1kg ($2.86), 2x diced tomato 400g ($1.08), 1x long grain rice 1kg ($1.26), 1x three bean mix 400g ($0.68), 1x baked beans 420g ($0.59), 1x plain flour 1kg ($0.68), 1x lentils 420g ($0.76), 1x sprout crunchy combo 200g ($0.21), 10x eggs ($0.67). 10x apples ($0.48), 4x baby chilli’s ($0.29), Thai basil ($0.29),’ she posted. For Ms Jenkinson, it was all worth it in the end as she smashed her fundraising goal of $10,000 to raise $12,491.84 for charity. ‘Well, I survived five days of eating on just $2 a day! I’ve always considered myself to be quite healthy but I’ve realised I’m completely addicted to coffee, salt and sugar,’ she said. More information about the Live Below the Line charity challenge is available here.